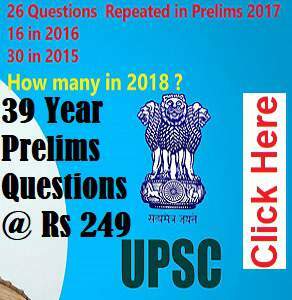 All interested and eligible candidates are required to appear for Civil Services Examination 2018 conducted by UPSC for which the last date for submitting the online application is 6th March, 2018. 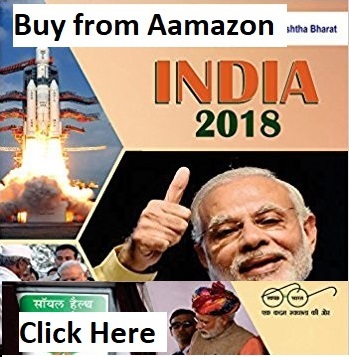 The Civil Services (Preliminary) Examination 2018 will be held om 3rd June, 2018. 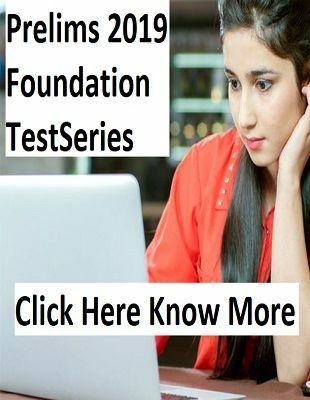 NTPC will use the database of those candidates who will appear in the Interview/ Personality Test for Civil Services (Main) Examination 2018 but are not finally recommended for appointment in any service. 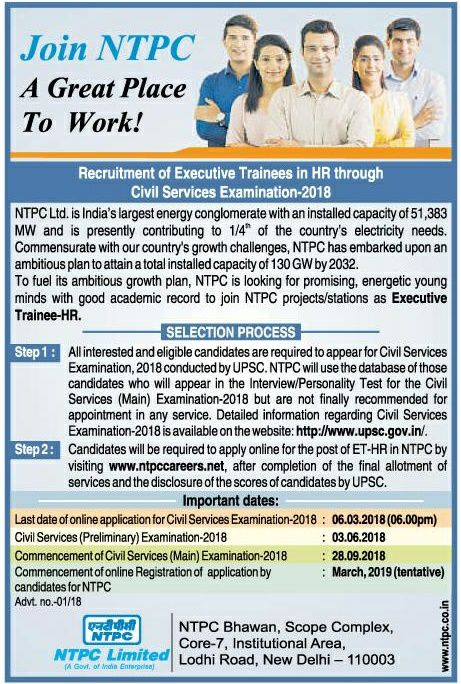 Candidates will be required to apply online for the post of Executive Trainee - HR in NTPC by visiting NTPC Career website, after completion of the final allotment of services and the disclosure of the scores of candidates by UPSC. Please visit NTPC career websitehttp://www.ntpccareers.net for more details and online submission of application.